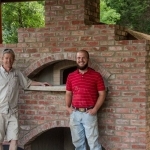 Texas Oven Co. Planning a Wood-fired Oven Project - Texas Oven Co. Ovens are our business. 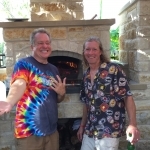 Both Dave and I cook on hand-built Wood-fired Texas Ovens™, and Dave has been building great ovens like mine for over ten years. 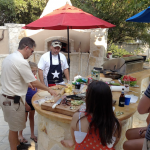 He advises that whoever builds your wood-fired oven project should be experienced in cooking on a wood-fired oven. 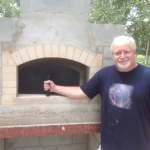 Through years of experience in cooking and building, Dave has learned what works best for the cook and how that impacts oven design. 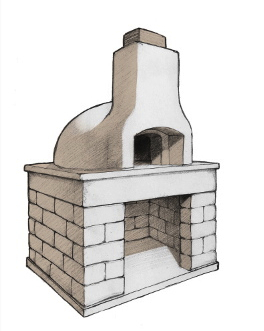 Let’s walk through an overview of what’s involved in building a wood-fired oven with a few drawings that show the basic components of your project. 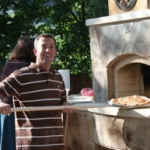 Custom wood-burning ovens can weigh up to 6000 pounds. They require a strong, steel-reinforced concrete slab, usually 6’ x 6’, set 8-12 inches in the ground. 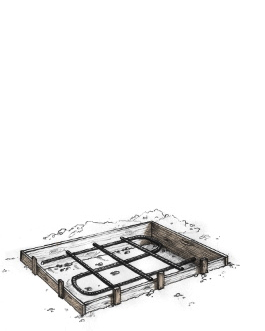 A permanent masonry base sits on the foundation. 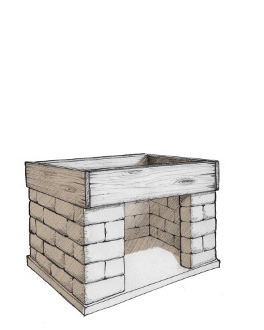 The base consists of four courses of cement block, which will allow the floor of your oven to sit approximately 42-45 inches from the foundation—a good cooking height for most folks. The hearth slab fits across the masonry base and provides a thermal block between the oven floor and the base. It protects the base and prevents the heat from dissipating too quickly. 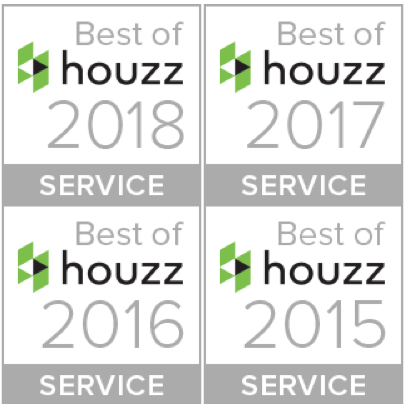 Here’s where the real design work pays off. 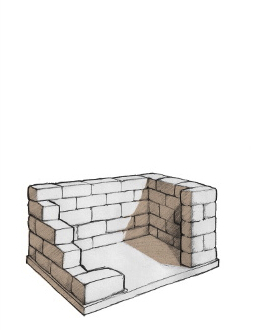 The geometry involved in building a proper firebrick vault determines heat retention, cooking efficiency, radiant heat, maneuverability and maximized workspace. 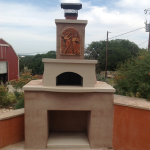 With a proper “throat” (smoke chamber) a wood-fired oven burns clean, with minimal smoke and particulate matter. A properly designed throat takes advantage of natural air currents to generate conductive as well as convective heat. 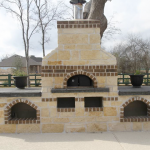 Wood-burning ovens require special high-heat venting materials because ovens can sustain temperatures over 1,000. 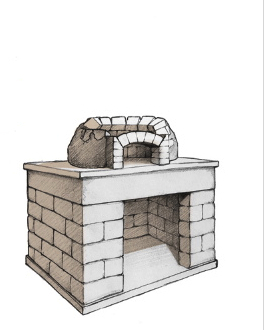 The height of the flue depends on the oven’s position and local regulations. Here’s where you determine the exterior appearance of your oven—how it complements the style of your home or outdoor entertaining area. Dave is an artist in brick and stone. He has an eye for finish and can discuss materials and options for a custom look. Notice that crossover slab, core, and venting are marked for a reason. 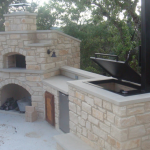 These components are critical in building a reliable, effective wood-burning oven. See our blog for an explanation of these items.